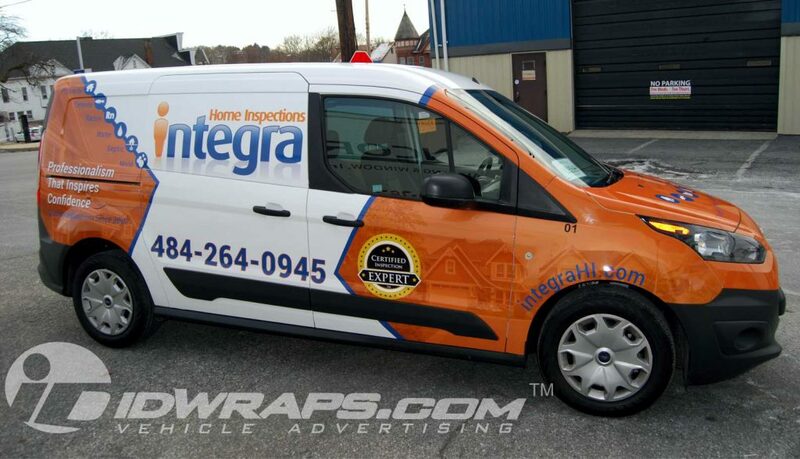 Traditional vehicle wraps do their work well every day, all year. However, when the sun goes down, like anything outdoors, they’re not quite as easily seen. Enter reflective wrap films. Reflective vinyl graphics are surely nothing new. The true news about reflective is the availability of more flexible wrap materials. Traditionally, reflective graphics were thick, and somewhat rigid. This made these graphics incompatible with many complex vehicle surfaces. The advent of new materials, such as 3M’s IJ780MC, provides the flexibility to conform to very complex shapes. Essentially, this material may be used to wrap the entirety of any vehicle, including curvy bumpers and door handles. In addition to the application flexibility. 3M’s IJ780MC also has a much higher angle of reflectivity. What this means (thanks to nano technology) is this film reflects light from relatively hard angles. It is not necessary to shine a light directly at the film. It picks up light from a wide scope of directions. This property makes the graphics “light up” much more often than when headlights are pointed in a head on orientation. All this wonderful technology does come at a premium though. The latest and greatest materials are rarely the cheapest. 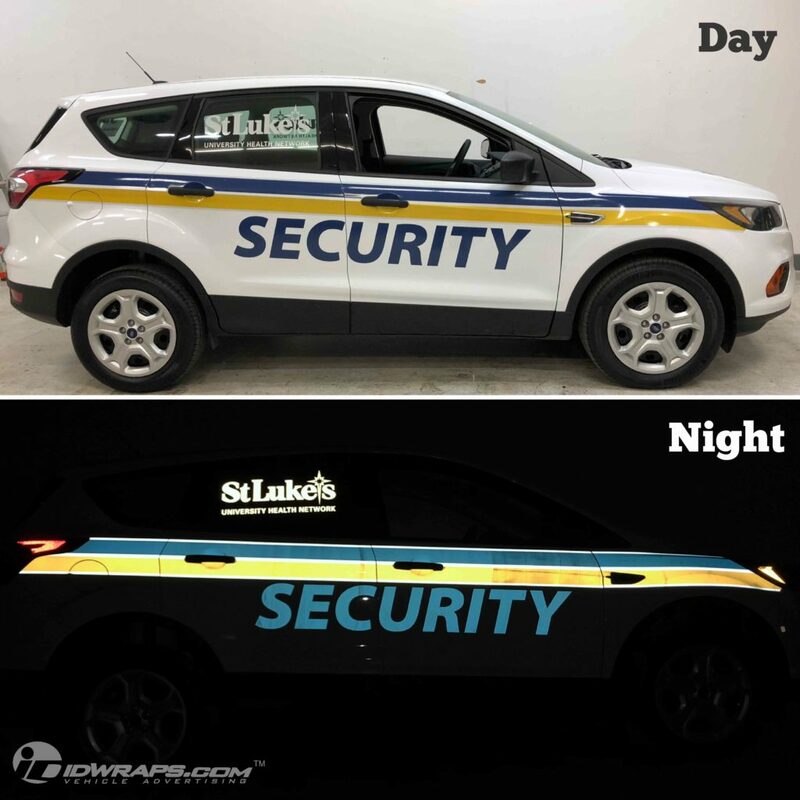 One way to maximize value with reflective films is reflective spot graphics applied on top of a non-reflective vehicle wrap. Here, strategic elements are produced on reflective film, and reducing the amount of material used, while maintaining maximum design impact. Perhaps you already have a vehicle wrap, and would like to add more “pop” in the evening hours. You may be in need of some spot overlay reflective elements on your design. We’re always here to offer effective suggestions. Call us today for a free quote. 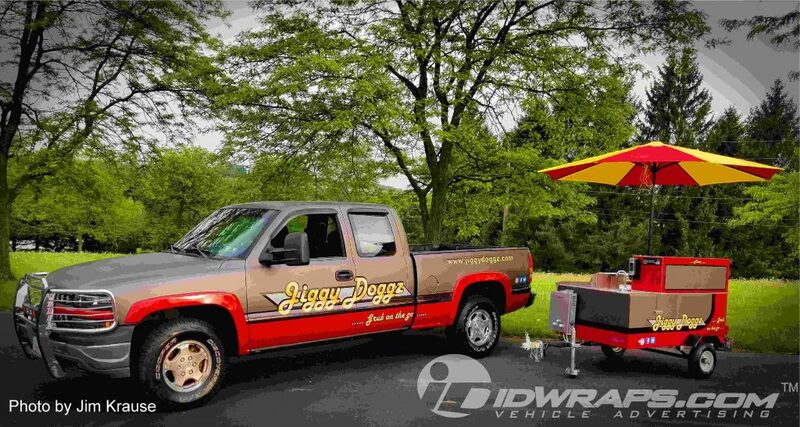 The IDWraps team is often found changing the color on a newer vehicle, or applying and advertising on older trailers- making them look like new. Pictured below is a hybrid camper wrap of the two applications. This RV came to us with a weathered fiberglass finish. The majority of the surfaces on this camper were in excellent shape, with the exception of the fiberglass nose section. This surface was heavily oxidized which made for a great deal of tarnished eye sore. We wrapped this grey surface with an updated look of 3M 1080 gloss black. The beauty of this solution is that the newer model year version of this camper actually has a black nose. Nonetheless, this installation made this older RV look like a fresh one coming right off the lot at the dealer. Exhibits a camper wrap refinish before and after image. A vinyl camper wrap is an excellent alternative to painting. A new paint job can get extraordinarily expensive, especially on an RV. These units typically have to go to a very specialized paint shop, which usually charge specialized labor rates. This often may add up to many times the cost of a 3M vinyl wrap. 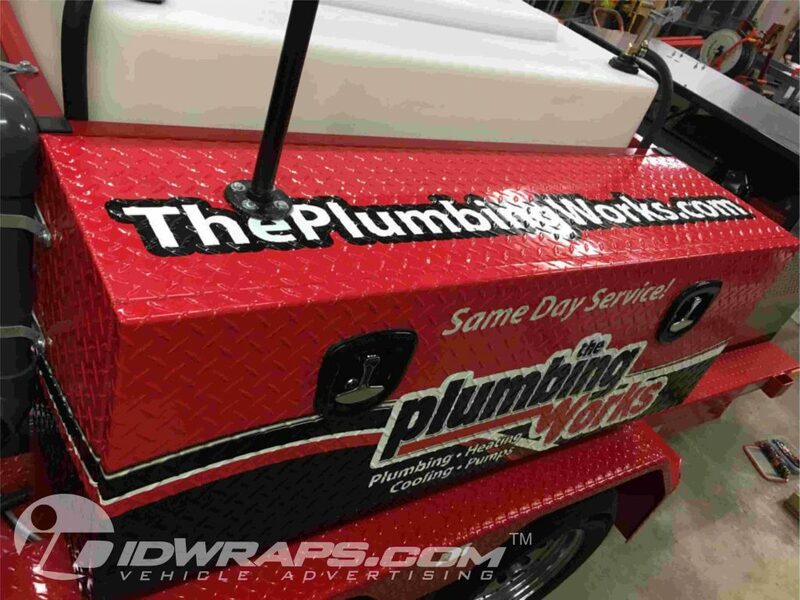 The beauty of a vinyl camper wrap, is that the wrap can go directly over the tarnished surfaces with minimal surface preparation. Paint, on the other hand, requires a great deal of sanding, masking, and other laborious tasks to even get started. In addition, a very large paint booth is required for RV paint jobs. A camper wrap can be done at your RV dealer, or may also be done outdoors- in your driveway. Outdoor installations would require a day with little to no wind, and temperatures between 60 degrees and 85 degrees for a warrantable application. This 17 year old truck came to us after a great deal of body work was performed. The big advantage to the two tone vehicle wrap, is that it did a great job to cover up many eye sores that reside underneath. Many of the surfaces were a base primer color which was completely blocked out by the opacity of the vinyl. This opacity comes in real handy when you need to cover up color issues. 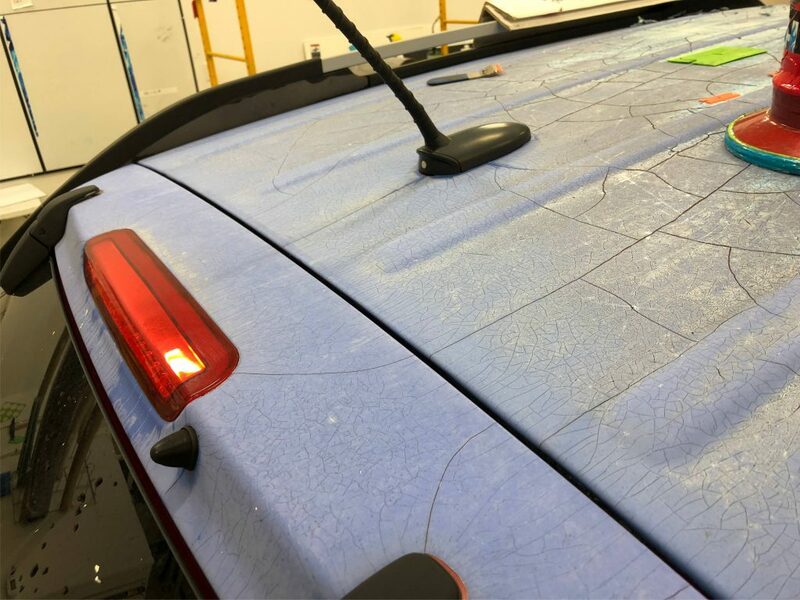 Whether it is primer painted touch ups, or a completely different color fender, quality vehicle wraps can easily obscure these visual anomalies and make things look new. Another common blemish wraps can improve is oxidized or sun faded surfaces. The Silverado pictured above had some chrome trim on the front grille area which had some unpleasant tarnishing. This issue quickly vanished when our team applied the gloss red materials over top. The Ford Transit Connect has surely taken the service industry by fire. Ford has managed to make cargo vans cool. With styling borrowed from their sporty compact cars, this van is a nice break from the largely unattractive vans available years ago. 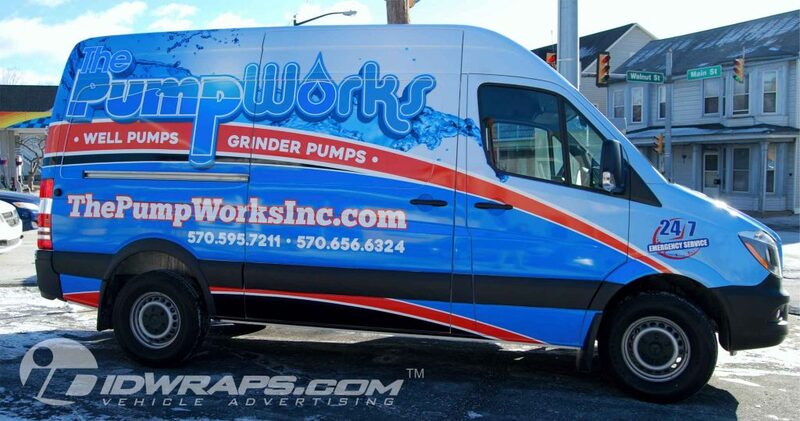 Due to the appealing look of these vehicles, Transit Connect vinyl wrapping has become a very common application on them. An attractive vehicle is always easiest to design and appealing and effective advertisement on. 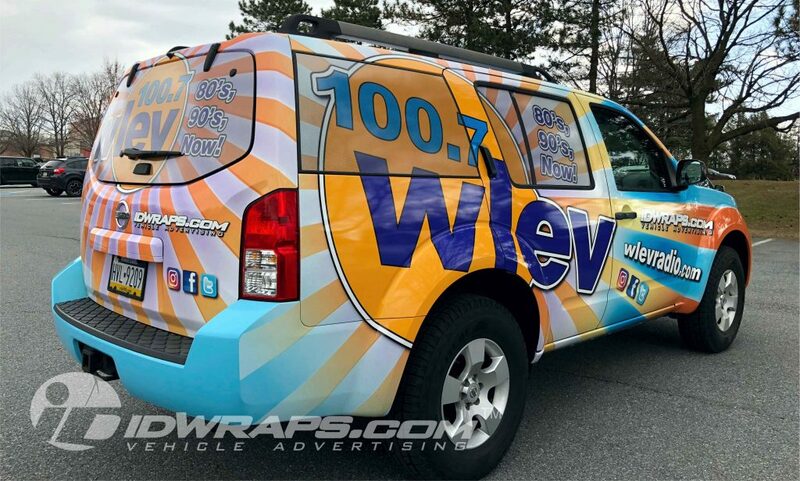 Essentially, a wrap can also dramatically improve the look of any “less than attractive vehicle.” The IDWraps.com team has surely transformed many a old beat down vehicles into attention magnets. Another key attribute to these vans is the advent of the back up camera. This technology allows for the deletion of cargo door windows. This brings the cost of the van down, and more importantly- provides more security for cargo. 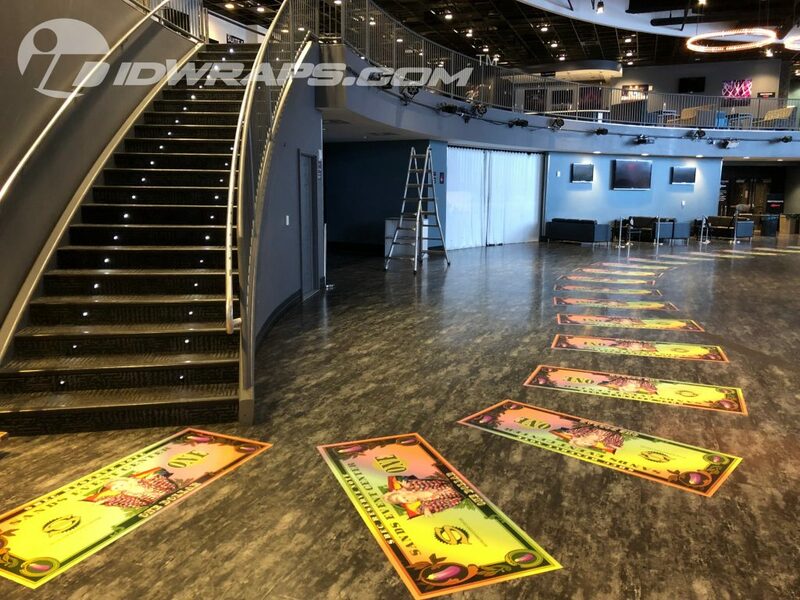 The benefit when it comes to Transit Connect vinyl wrapping, is that no perforated view through films are needed on a full wrap installation. Not only does this omission save on graphics cost, but it also ramps up durability in these areas of the van. View through films are less durable than solid opaque films that are not see through. There are several factors that make a perforated window film less durable. Firstly, nearly half of an automotive view through film surface is comprised of holes. These holes, of course, do not have adhesive that helps the graphics adhere to glass. So we start with 1/2 the adhesion as opposed to the solid films. The second attribute gets a little technical, but most view through films are a calendared formulation. Calendared films do shrink much faster than the cast types we use on the painted portions of the vehicles. In the end, perforated films generally last half as long as solid opaque varieties.